Feel and live like locals. Comfortable, clean and quiet studio (27m2) 4 minutes walking from Market Square. Perfect location, take a touring walk to: Market Square, Kazimierz Jewish District , Wawel Royal Castel. Take a big breath of Krakw street atmosphere. 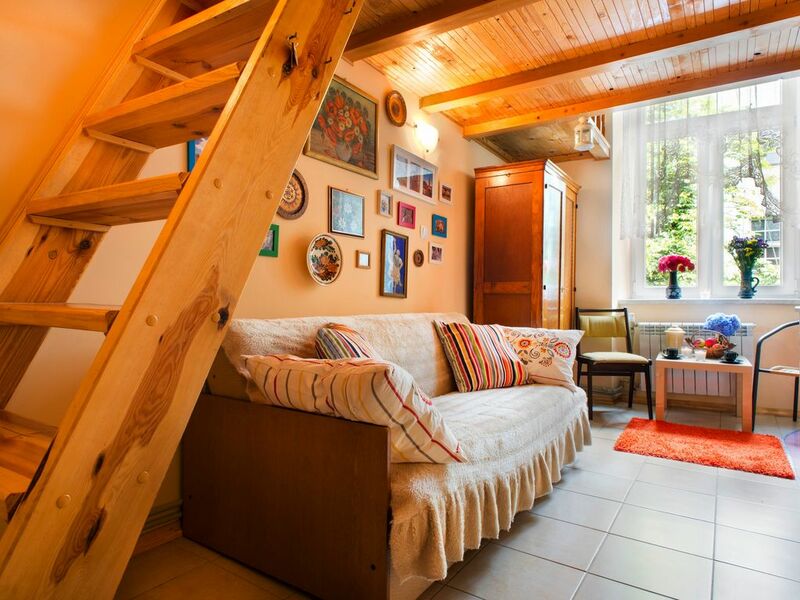 Apartment is in center of Old Town 4 minutes walking to Market Square. You can reach every place with touring walk. You will rent whole studio with bathroom and hallway. Please be respect for neighbors, no partys and no smoking. The area of the Old City is bounded by the ring of lightly-forested parkland, known as the Planty, that used to mark the Old City walls and moat. The Wawel, the long-fortified hill at the southern end of the Old City, overlooks the River Vistula, and forms an integral part of this district. The centre of the Old City (and of Krakow itself) is the Rynek Glwny (the Main Marketplace) from which all the main streets radiate.